6 Week Detox Program finishing with a 2/3 day juice fast – This is a gentle programme that will change your lifestyle and make you glow from the inside out. Well done, hopefully you have survived week one of my detox. Well, how was it? Did you manage to stay off the booze? I managed it, even when I went out for a Valentine’s dinner I managed to stay clear from the White Wine. Even if you slipped up you should carry on with the Detox programme, as each week is accumulative you will continue to stay clear of alcohol. This week the item to eliminate is Caffeine. This is going to be tougher as Caffeine is an everyday item, the main culprets being Coffee & Tea. It’s all about the Herbal Tea’s, these days the shops are filled with so many flavours and you will be surprised at how good they taste. I recommend that you get yourself a ‘Tower of Tea’, below is mine and I’ve been an Herbal Tea addict for a long time and I’m always finding new flavours. 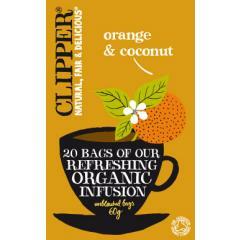 My new favourite is from a brand called Clipper and is an Orange & Coconut flavour – Yum. Headaches, nausea and moods so bad…this is what prolonged periods of abstinence can do to the caffeine addicted. Drinking Coffee is a ritual and symbol of important, busy people. The more responsibilities we have, the bigger the cup of Coffee we need to carry around with us. I never drank Coffee untill I started studying to be an Acupuncturist & Naturopath, I think that it was the working full-time and studying that did it. Now I can go through phases of one Coffee a week or one everyday and I’m partial to black Tea and dark Chocolate so this is going to be a challenge. So Good Luck, this is going to be a tough week. Any questions let me know and I’ll check in, in the week to see how you’re getting on. Previous PostDetox & Fasting Programme for a brighter you…Next PostWeek 2 of my 6 week Detox Program – Caffeine Detox – How are you Surviving? !